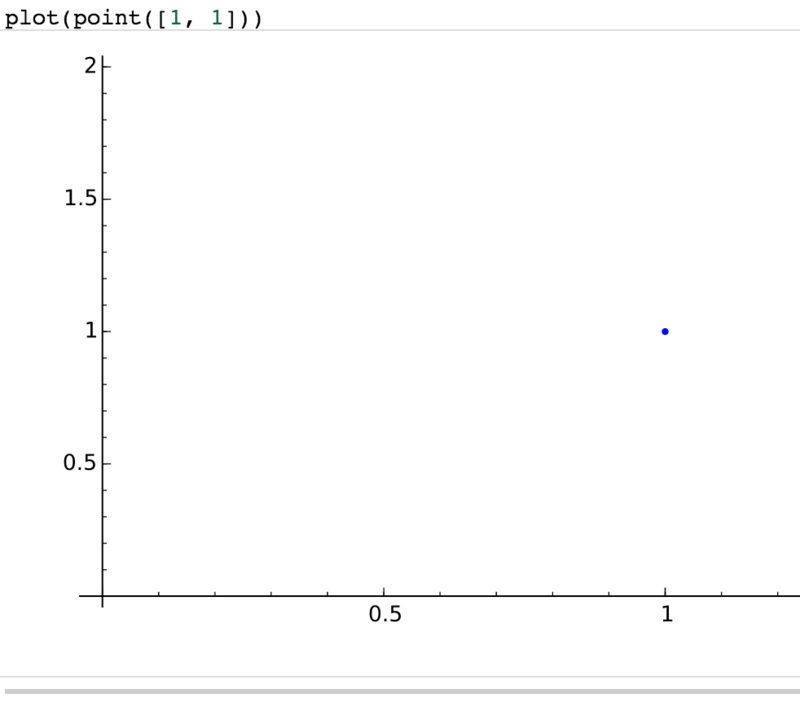 Is it normal that i can't plot in a function ? Can you provide the code you used? It is better to write the code instead of providing picture. If I want to try the code it is simpler for me to do a copy paste... that is not possible with pictures. Sorry, I have edited my post. 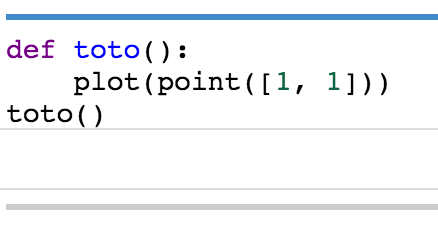 First of all in your code you can replace plot(point([1,1])) by point([1,1]). Thanks ! If I call several times the function, how can I concatenate the graphics to show them in one graph ?